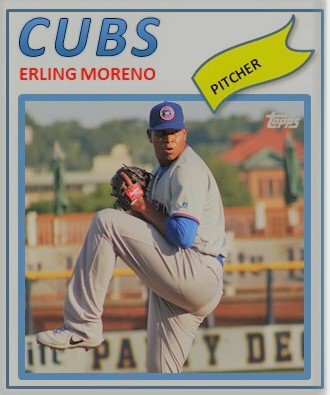 It is hard to know what to make of Erling Moreno. It seems like he has been in the system forever. Signed as an international free agent in 2013, the now 21-year-old looks to be headed to Myrtle Beach but his future is still unclear. 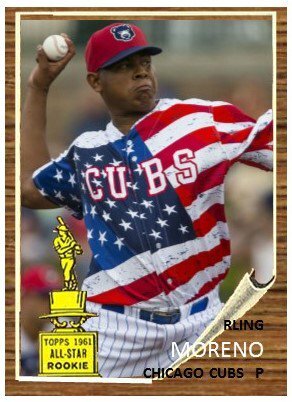 After spending a second season at South Bend in 2018, Moreno looks to be finally healthy for the first time since 2016. There are a lot of things to like about what he can do on a baseball mound. The right-handed pitcher has been derailed by injuries but the quality of the his pitches is still quite evident. I last saw him pitch live on a hot and steamy night in Davenport in July of 2018. Moreno had missed the first two months of the year, which seems to be a theme for him. On that night, he sat 93-94 and flashed a plus curve. He went 6 IP with 2 ERs and 4 Ks. Over the next month he made 5 consecutive starts where he went 6 innings or more. It was a nice stretch and a hopefully a good harbinger of things to come. Last year was the first year he hit 70+ IP. He struggled to pitch at home while his ERA was a low 2.36 on the road in 2018. It’s a weird stat, but getting away from South Bend might be the best thing that happens to his career. Here are five reasons why he is still a viable arm. 1. The Fastball – He still can sit anywhere between 93 and 96. 2. His curve is still a mighty force – For some reason, his curve is just a vicious to left-handed hitters. It will be fun to see it continue in 2019. 3. His stuff could play up a little bit in the Carolina League. Myrtle Beach plays in a noted pitcher’s park and his stuff could shine there. 4. He is still relatively young – He turns 22 in January, which is still pretty young for a pitcher. 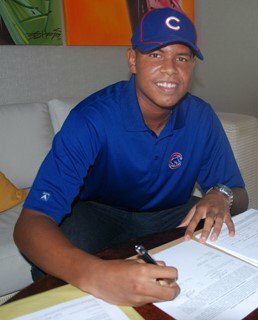 The only problem Cubs have with him is that his development may run out of time before his contract does. Even though he was eligible for the rule five draft last fall, no one selected him. If he has a good year in 2019, I can’t promise that next winter. 5. A Big Year Coming Up – Usually when a prospect breaks out, it’s down at the lower levels of class A. Some guys ramp it up at South Bend. Other guys can get it done in Myrtle Beach. But by the time you get to Tennessee, there are very few guys who somehow make it click for the first time at AA. 2019 might be the year that Moreno does begin to put things together. To me, he is the perfect Arizona Fall League candidate (It’s way too early to say that, but he is if he has a good year). It’s not as if it’s a make-or-break year for him, but it is a very important one. The problem for him is that he’s been passed up by a lot of pitchers the Cubs have taken in the last two drafts. If Moreno is going to move up through the system after Myrtle Beach, he’s really going to have to set himself apart to get there. Considering the amount of pitching talent the Cubs have at AA and AAA, He’s going to have to make his way into a spot that right now is not there. Hopefully, he can stay within himself and let his stuff do the work for him and, most importantly, stay healthy..